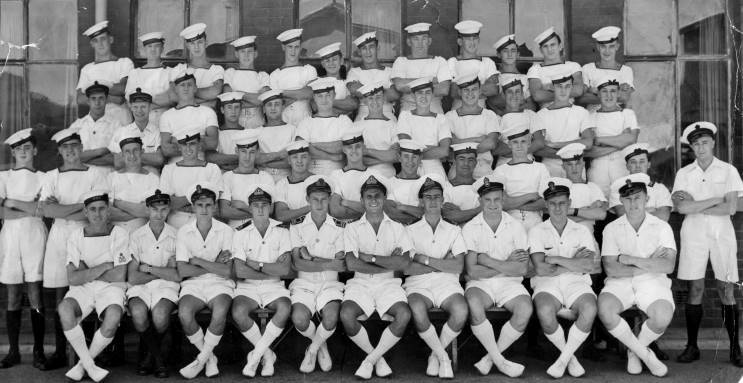 Unidentified officers and men of HMS Venerable. 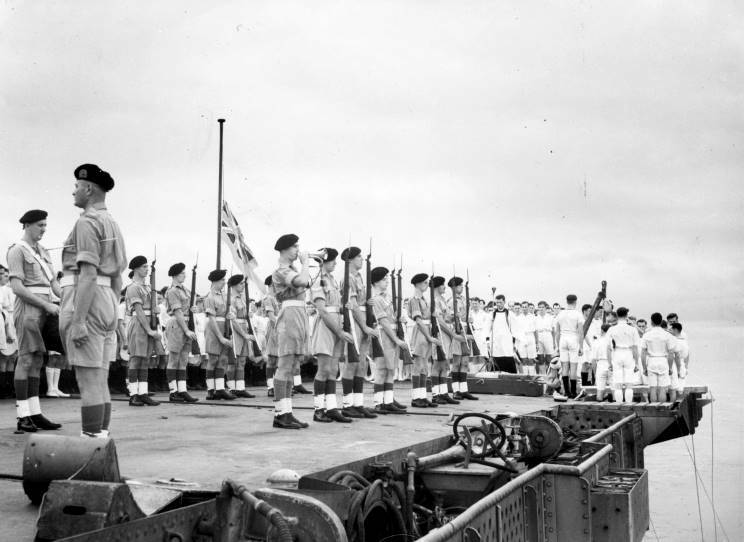 Men of the Royal Marine detachment on HMS Venerable. 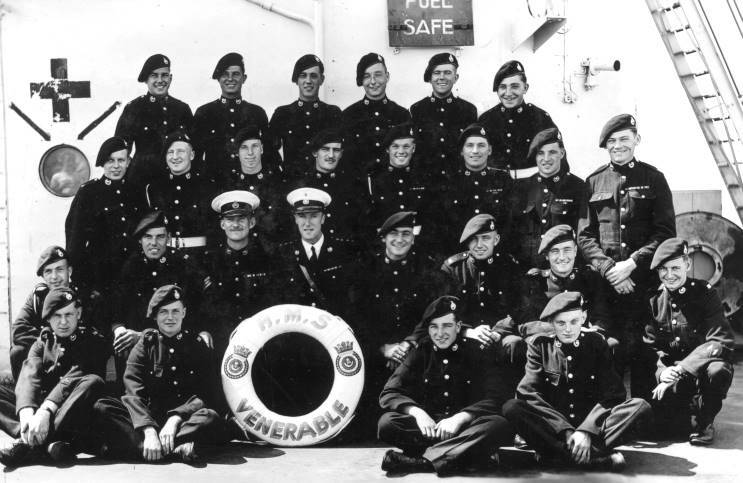 Unidentified crewmen and Royal Marines of HMS Venerable. 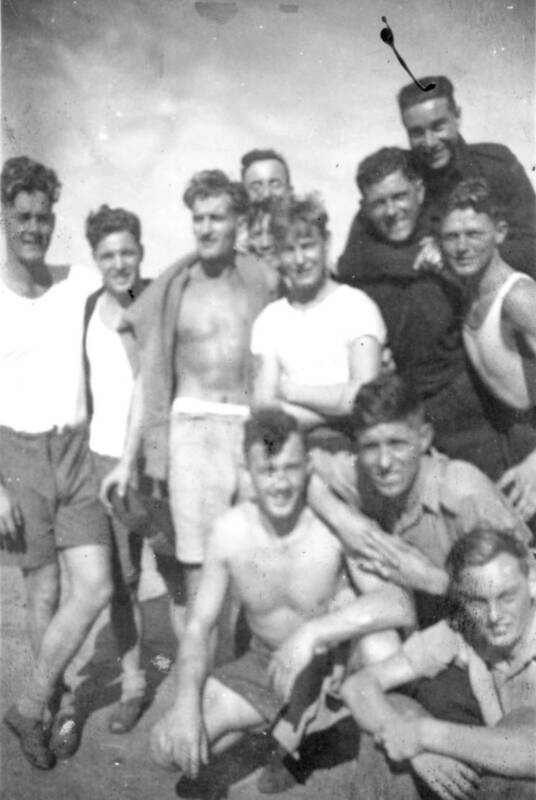 Unidentified crewmen of HMS Venerable. 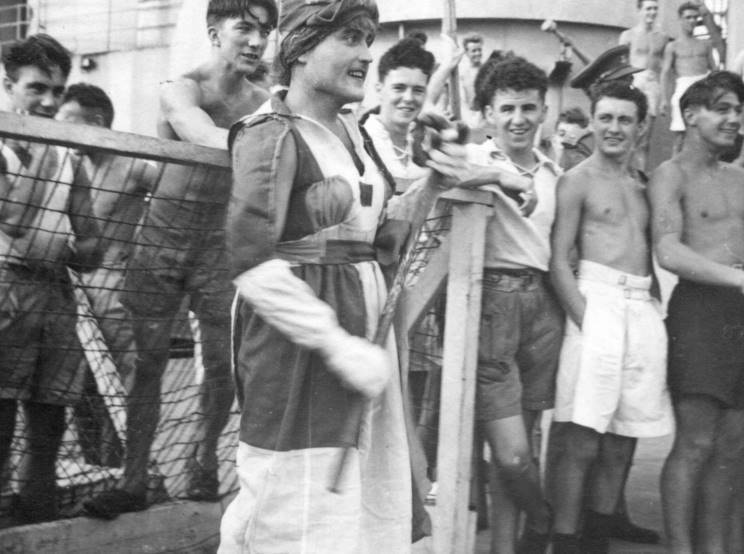 Crewmen of HMS Venerable playing deck hockey. 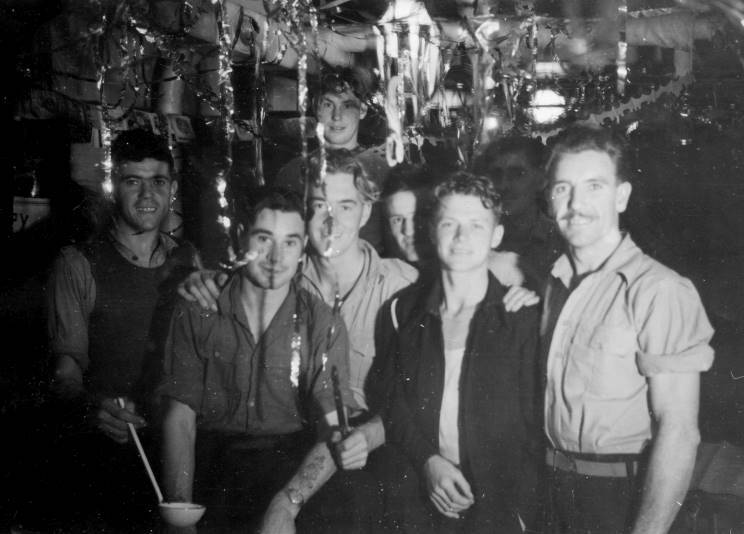 Unidentified crewmen of HMS Venerable seen on Christmas Day 1945. 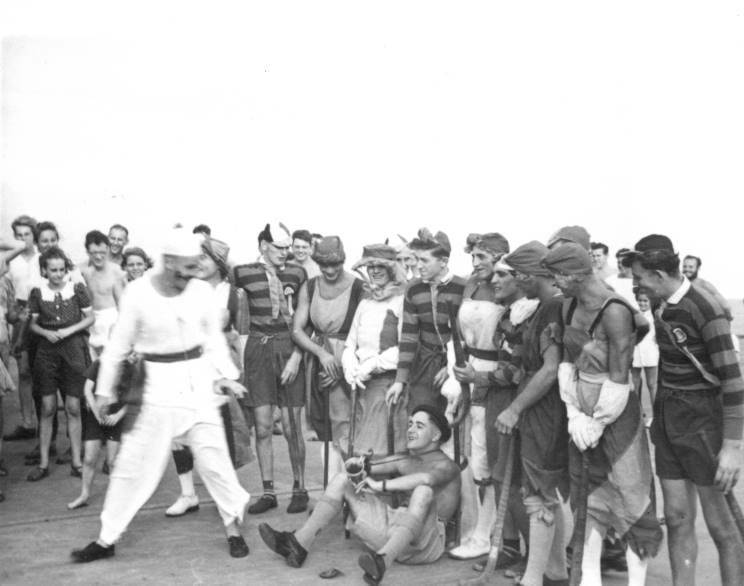 March 1946: The funeral for Able Seaman Frederick C. Burfitt (died Mar. 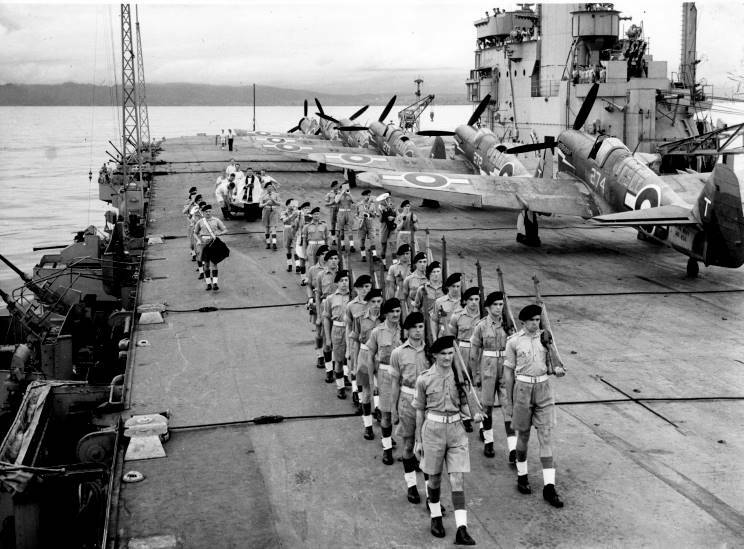 25, 1946) on HMS Venerable. 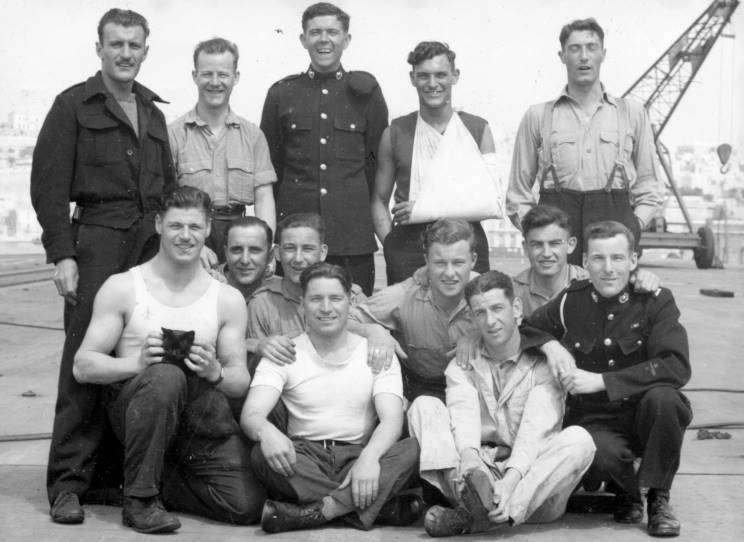 Courtesy of George Deeks, Jr.
MaritimeQuest would like to thank George Deeks, Jr. for making this collection available and to Brian Wilson of Scottish War Blinded for scanning this collection and arranging for it to be displayed on the site.